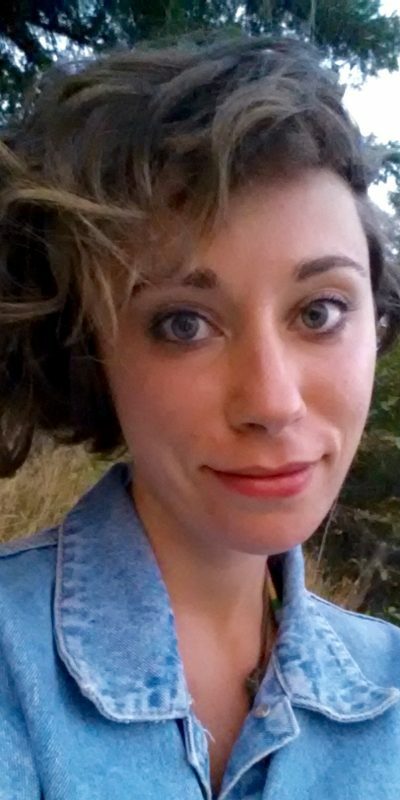 Emma Destrubé is an authorized Continuum Movement teacher, movement and visual artist, and Oriental medicine practitioner based in Los Angeles. After practicing Continuum since her teens, Emma relocated from Canada to Los Angeles to further immerse herself in the work and study with Continuum founder Emilie Conrad until her passing in 2014. They worked together closely for six years, researching and developing therapeutic fluid movement/sounding protocols for neuromuscular compromise. Emma is currently completing the final year of her Master’s in Traditional Chinese Medicine. She practices acupuncture, herbalism, tui na medical massage, and lifestyle and nutritional counseling as a Clinical Intern at the Emperor’s College Clinic in Santa Monica and at Being Alive HIV clinic in West Hollywood. With a background in circus arts and gymnastics, Emma spent her early years exploring the extremes of her kinesphere; now, she turns her awareness inwards to a living inquiry into the dynamic movement potentia of the tissue and cellular realms, exploring the frontiers of inner space and embodiment. Emma also studies the Eastern somatic practices of Nei Gong internal cultivation, including Taoist meditation and internal martial arts with Gabriel Orshan and others. With poet Rebecca Mark, Emma co-teaches Words & Waves workshops in LA – an embodied approach to creative writing grounded in Continuum. She is currently working on a collection of drawings and poetry born from that work. Emma is passionate about cultivating our birthright of innate vitality and intimate participation with the somatic life process. In her classes and private practice, she promotes self-referentiality, body-autonomy and radical refinement of movement and sensation.